Jeff Thomason, star of the popular Predator Pursuit on Sportsman Channel, is an avid sportsman, as well as a loving husband and community contributor. 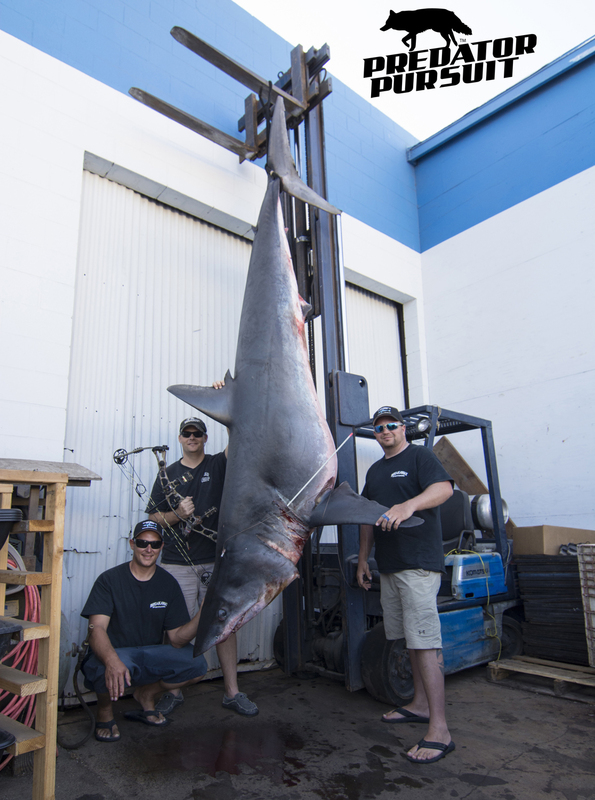 He is also the newest world-record holder for shortfin mako shark taken with a bow, and the latest victim of harassment from anti-hunters on social media. The Texas native recently found himself in the spotlight after successfully harvesting an 809.5 pound shortfin mako shark off of the coast of California with a bow. Thomason’s shark broke the previous record by 300 pounds. His excitement was short-lived however. After news agencies reported the story, the anti-hunting community began a feeding frenzy – and their prey was Thomason. A flood of comments from animal rights activists have bombarded the Predator Pursuit Facebook page, with many commentators spreading false information about the species. Such comments include the claim that makos are endangered. In fact, shortfin mako sharks are not found on the Endangered Species List. Mako shark populations off the coast of California are healthy enough that the California Fish and Game Department allow anglers to take up to two per day, with no size limits. However, facts regarding the species and legality of hunting makos continue to be overlooked by animal rights activists and harassment continues on Thomason’s page. Comments such as: “He should be killed, not taken off of Facebook. A life for a life I say” and “I pray for karma to come in the form of many sharks and play games with Jeff’s body…” are just two examples. Harassment and cyberbullying from animal rights activists have become prevalent in the past year, leading USSA to form the Hunter Advancement Task Force to find a solution to the growing problem. Anti-hunters attacking Thomason’s page also overlooked the fact that the harvest of the species was used to feed the less fortunate. The meat from the world-record mako was too much for one person, so Thomason donated 400 pounds to a local California homeless shelter.